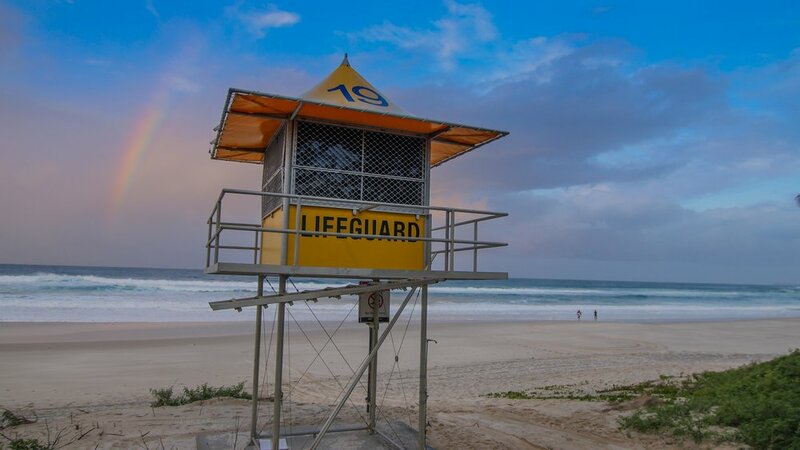 Out of all the places we visited in Australia, the Gold Coast is where we spent the most time. We were fortunate enough to have worked and played in this amazing region for over 8 months. The GC is perfectly situated near some of the worlds best surf, amazing bush walks, chilled out beach towns, wild night life, and some of Australias best vegetarian cuisine. Bush Walks - The Aussie term for a hike is a "bush walk" and the GC has plenty of them within a very short drive. From lush rainforest to massive waterfalls and even glow worms, the hinterland, just outside of GC, delivers nature lovers much more than they would expect. If your heading into the bush, I highly recommend Lamington National Park. This NP is split into 2 sections: Binna Burra and O'Reilly's Plateau. In our opinion, the O'Rielly's area is far superior to it's eastern neighbor Binna Burra. Here, you can walk free of charge on the rainforest skywalk and tons of other short tracks to picturesque waterfalls. Our recommendation is staying at the nearby $8 camping grounds and walking the Wishing Tree walk, at night, to the glow worm viewing area. While the O'Reilly's visitor center does offer a $50 tour to the glow worm area, this is something that can easily be done for free. Walk the short track in the day to get familiar with it and by night it becomes a glow worm grotto. Other awesome parks in the area are Springbrook and Natural Bridge, where you can also see glowworms at night, but is much more popular. Beach life - Everyday that passes, I miss the chilled out scene from GC's southern less touristy beach towns. 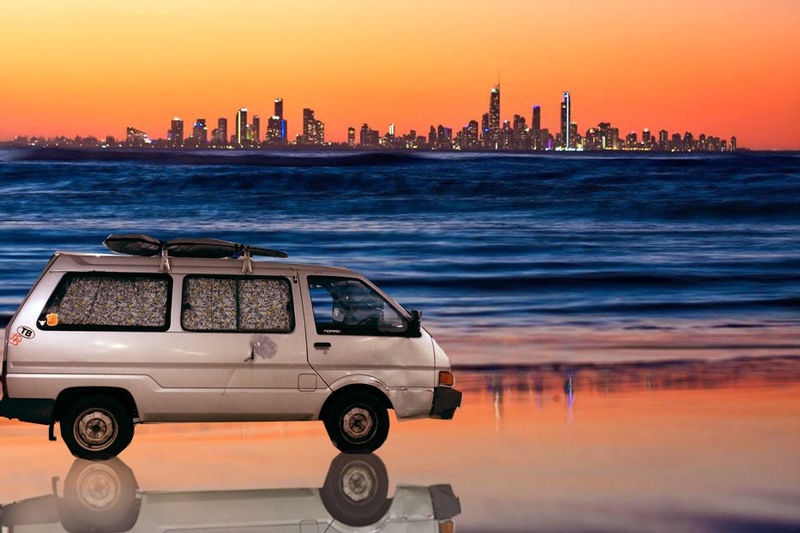 Escape the madness of Surfers Paradise and head just a few kms down to areas where locals call home. 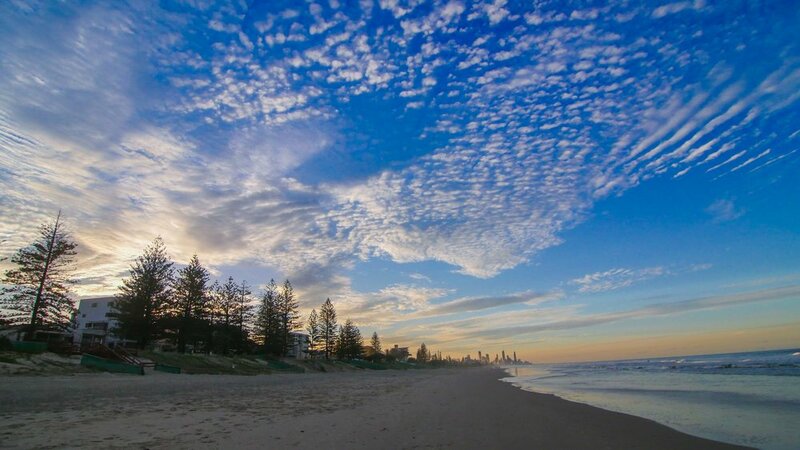 Out of all the suburbs of the GC, Burleigh Heads has to be our favorite. The National Park at the Burleigh headland is amazing for afternoon strolls. 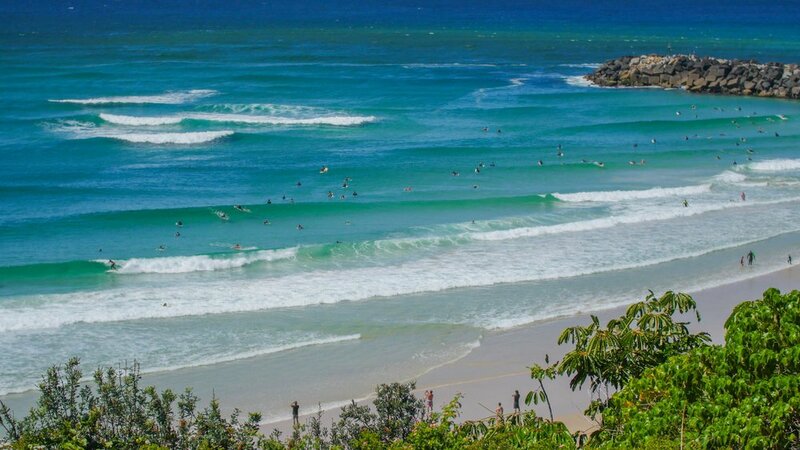 Walk around the headland to the amazing Tallebudgera creek for a safe swimming haven in the creeks turquoise water. Before you head out, hit the bottleshop for somesunset beers on the Burleigh Hill andwatch the surf while chatting it up with the locals. All GC beaches from Miami south have amazing picnic facilities, with clean BBQ's, to throw a shrimp on the Barbie after a classic GC day of surf, sun, and relaxation. Night life - If you're on the GC, you have to at least have one big night out in Surfer Paradise. It's definitely one of Australia's premier nightlife destinations. Down Cavil Avenue, there are plenty of bars and clubs to hop around and wet your pallet. Out of all the clubs, the best in GC is by far Elsewhere and it's sister club just a few doors down Whereelse. These two venues have live music every night with some big name DJ's that make Elsewhere a stop on their world tours every year. Acts like RUFUS, Flight Facilities, and Flume, to name a few, are some heavy hitters that come play at this GC underground electronic venue. If electronic music isn't your thing, check out the newly remodeled restaurant/bar/club, The Avenue just down the way. They serve wood fired pizza into the early hours of the morning for those craving more than kababs. Most clubs stay open till 3am, but have a lockout at 1am. Which means, once you leave the bar after 1am, you will not be able to get back in anywhere in Surfers. So, your best bet is to stay put. If you aren't into the bar scene, check out Miami Marketta on Friday and Saturday nights. They have live music and pop-up local food vendors serving multi-cultural dishes and desserts. It is an amazing time for the entire family. Vegetarian cafes - The GC has got to be one of the healthiest places we've ever lived. If the locals aren't hitting the gym, doing beach cross fit workouts, or running along the amazing coastline, they are eating at some of the countries best plant based restaurants. If you're craving well crafted smoothies and the most delicious raw vegan deserts, then I highly recommend BlendLove, in Southport, just outside of Surfers. Greenhouse Canteen, in Miami, has some of the coast's most creative vegan dishes. Another option is Mandala's, in Mermaid Beach, providing a chilled out dining experience that has live music and events every week. Make sure you go on a Tuesday night for all you can eat vegan pizza for $25pp. It's easily the best deal on the GC. If you're going out with you're non veggie friends, go to the Pocket in Burleigh for the best falafel in Australia. There are so many other options I could go on all day. The entire coast is full of cafes serving up fresh pressed juices, acai bowls, and almost every cafe has a veggie/vegan options.